Few models stand the test of time, but here we are more than 50 years later and the Toyota Corolla is still going strong and still dutifully living up to the brand's mantra of "going places." What gives the Corolla such staying power? 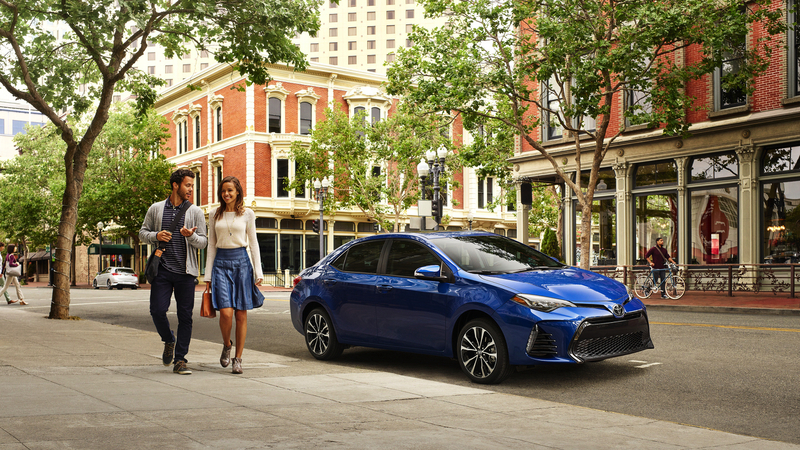 For one, the Corolla covers all the bases very well, delivering a comfortable ride, earning exceptional fuel economy numbers, and providing excellent value. Thanks to those attributes, the Corolla is destined to remain a best-seller in 2019. Additionally, Toyota Safety Sense™ P (TSS-P) is standard on all trims this year, adding adaptive cruise control, automatic collision braking, and much more. Perhaps the 2019 Corolla will be your first car, or maybe you just want something reliable that doesn’t cut corners when it comes to comfort. Luckily, the Corolla is more than capable of stretching your hard-earned dollar. The Corolla is a four-door compact sedan with seating for five. 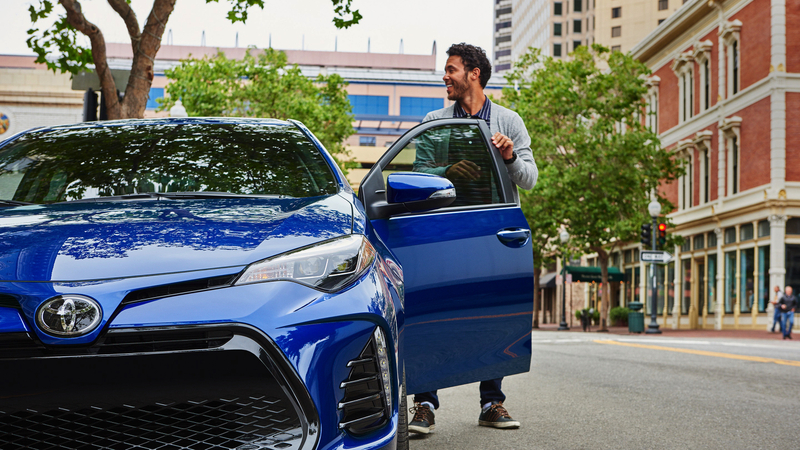 The 2019 Toyota Corolla continues to lead the small sedan segment thanks to an inventive mix of practicality, value, comfort, and active safety features. The 2019 Corolla is powered by two versions of a 1.8-liter four-cylinder engine. In all but LE trims, power output is 132 horsepower and 128 pound-feet of torque. LE Eco models employ a more sophisticated version of the same engine that maximizes fuel economy and raises power output to 140 hp and 126 lb-ft of torque. While most Corolla models utilize a Continuously Variable Transmission (CVT), drivers looking for a more hands-on approach to gear-shifting should look to the Corolla SE, which can be optioned with a six-speed manual transmission. L models come with standard 15-inch wheels, bi-LED headlights, LED running lights, air-conditioning, a tilt-and-telescoping steering wheel with auxiliary controls, and power accessories. 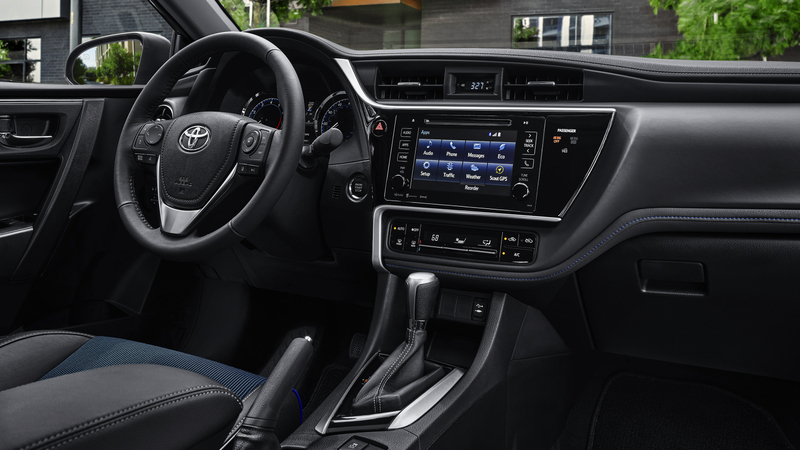 The Corolla L also sports a height-adjustable driver’s seat, a 60/40-split-folding rear seat, and Bluetooth® audio and phone capability that allows you to make calls and stream music from your phone straight to the Corolla’s six-speaker Entune™ audio system with 6.1-inch touchscreen. In addition to the L’s content, the LE adds (where applicable) 16-inch wheels, heated mirrors, and keyless entry, while the XLE gets you even more goodies, including keyless ignition/entry, upgraded headlights, a sunroof, Toyota SofTex® simulated leather upholstery, and Entune™ Audio Plus, which upgrades the standard Entune™ system's features by adding a seven-inch touchscreen, satellite and HD Radio®, and an app-based navigation system. Moving up to the SE provides a number of sporty touches like 17-inch alloy wheels and unique front-end styling with a black mesh grille. The SE also boasts a rear spoiler, a chrome-tipped exhaust, a leather-wrapped steering wheel with paddle shifters (for CVT models), and front sport seats. There's also a sport-style gauge cluster to offer that track-inspired vibe. The XSE takes the SE's features and adds a number of premium features, including a sunroof, keyless ignition/entry, heated front seats, and an eight-way power adjustable driver seat. 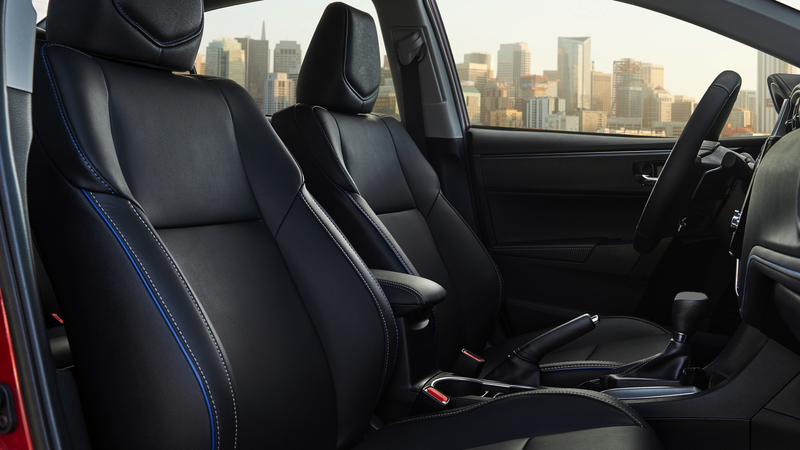 All 2019 Toyota Corolla models come standard with stability and traction control, antilock brakes, front side airbags, side curtain airbags, a driver knee airbag, and a passenger seat cushion airbag. A rearview camera is standard on all trims. The biggest and most exciting addition to the Corolla’s standard safety feature is the Toyota Safety Sense™ P (TSS-P) system, which bundles forward collision warning and automatic emergency braking, pedestrian detection, lane departure warning with steering assist (to nudge you back into your lane), and automatic high beams. If you're craving something more spacious, with the capability to go places other's can't, you might want to consider an SUV. The Toyota 4Runner is truly an offroading champion and the perfect choice for you. 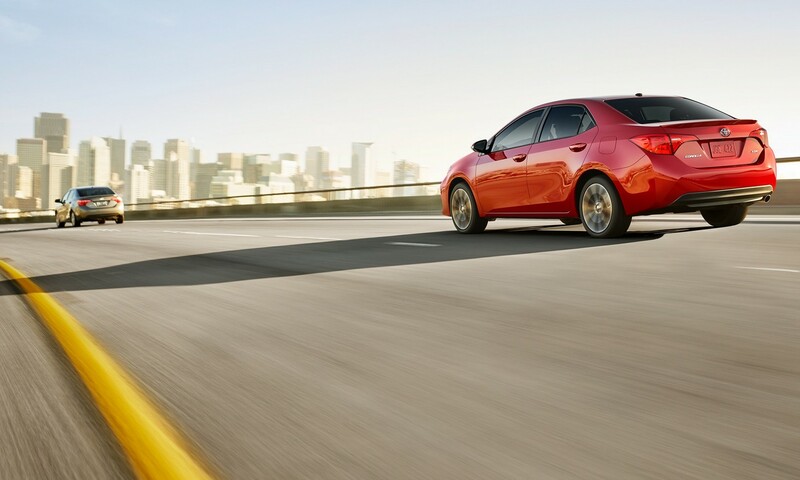 However, if you want to maintain great fuel economy with a bit more space, consider the Toyota Camry. It features all the luxury of a more expensive car at an outstanding price. * 2019 EPA-estimated city/highway mileage. Actual mileage will vary.